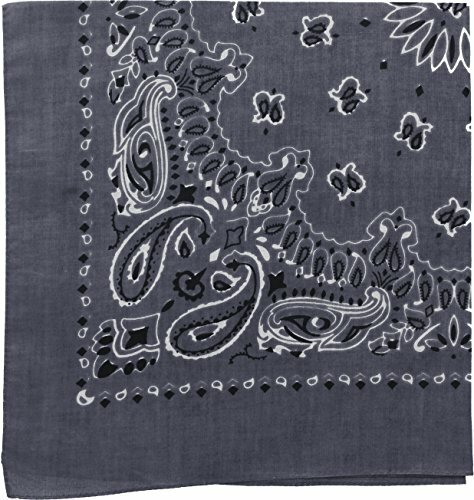 Rothco's Large Trainmen Bandanas feature a classic trainmen paisley design with a comfortable 100% cotton material. Rothco is the foremost supplier of military, tactical, outdoor, survival clothing and gear. These jumbo bananas size allows you to easily fold and tie these biker headwraps however you like. This will surely fit over your head and will definitely cover your face and neck. You can wear them as a bandana, headwrap, doo rag style or face wrap. Use it to clean, or carry it around in your car as a rag. 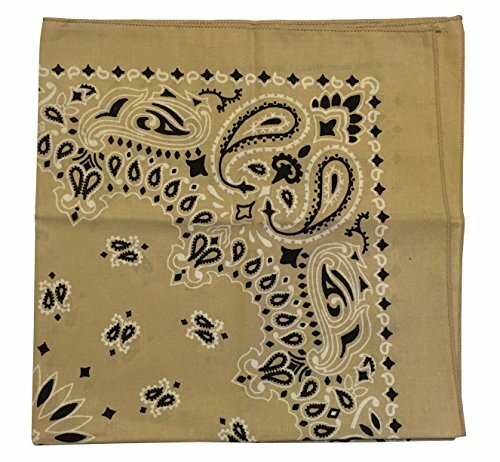 You will love the classic paisley print on these bandannas and each print is stamped and clear. These bandanas can be utilized in many ways, every single day by almost anyone. Whether you are looking to block the sun on a hot day, or a bandana face wrap for a dog, you can tie these in so many ways. Essential items for almost any camping, hunting enthusiast and a absolute must have. Bandanas are made from 100% cotton which are subject to shrinking. Do not machine wash. Hand wash. Colors may run slightly when washing from the dye of the material. Material will hold colors for a long time if washed carefully and properly. 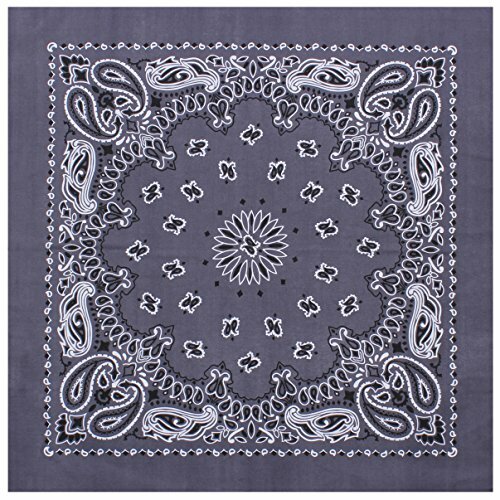 Mato & Hash provides possibly the best bandanas on the market in these large bandanas. 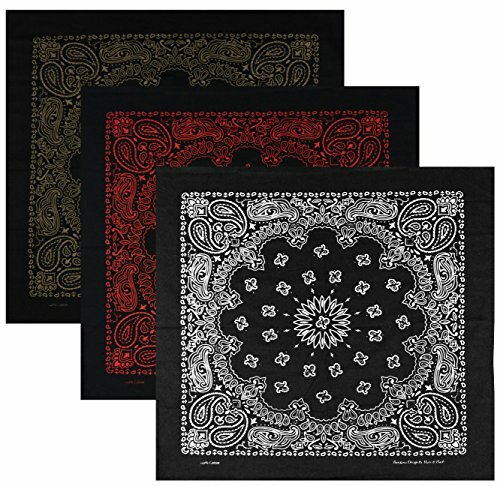 These jumbo trainmen bandanas are a versatile accessory that can be used on countless different occasions. 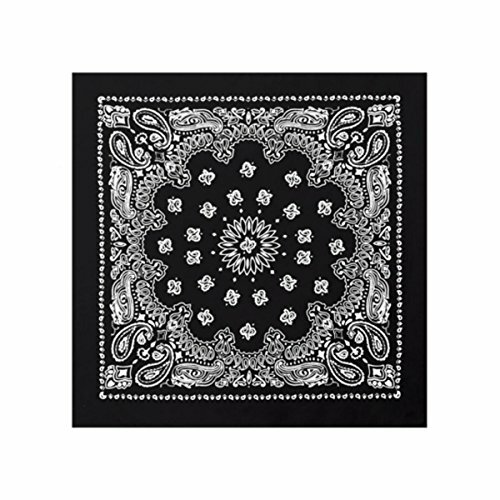 Its 27" x 27" build allows you to easily cover your face and neck, as well as making it much easier to tie compared to smaller bandanas, which enables you to wear it as a bandana or a face wrap. Feel free to fold and tie this bandana however you desire. 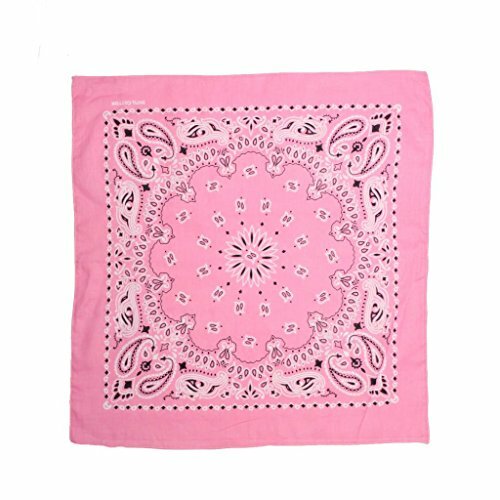 Made of 100% soft and durable cotton, these are a much superior fabric compared to other bandanas online made of cheaper fabrics like polyester. 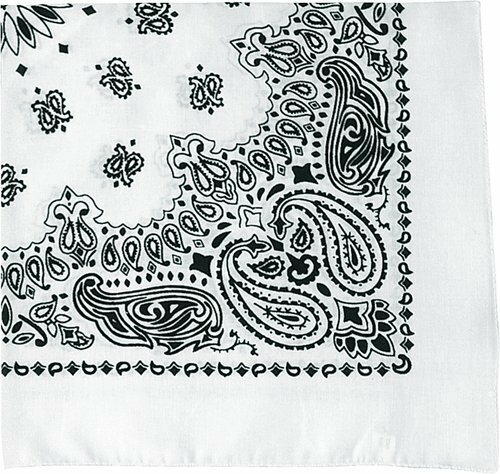 Each of these large bandanas are printed with the classic paisley bandana pattern that have been printed on bandanas forever. Mato & Hash provides 10 different colors, so you can easily mix and match. If you are looking for bandanas in bulk, SAVE MONEY WITH OUR PACKS - Simply choose your pack in the size you desire in the size selection. 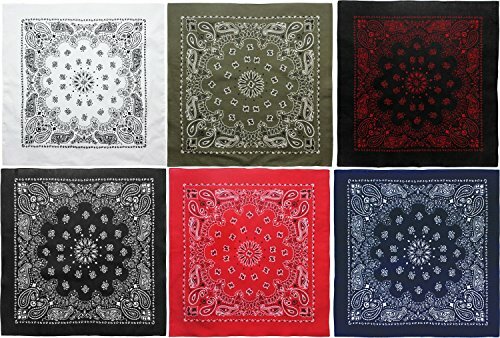 Army/Military & Camouflage Bandanas (All Colors & Sizes) - 100% Cotton Bandanas. Single Pieces Sold. Choose Any Color or Style! 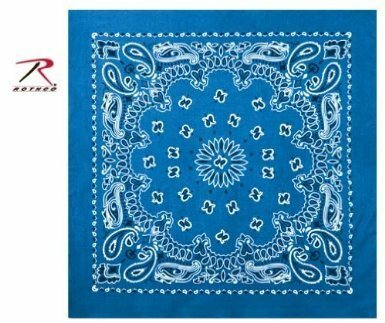 Whether you are a bandit, biker, or simply someone looking for a fashion accessory, a stylish bandanna is just what you are looking for. With countless ways to style them, bandannas are an ideal fashion accessory while still being a functional way to keep your head or face warm. Pick up one of our variety packs and you will be set for any occasion. Looking for more Trainmen Bandana similar ideas? Try to explore these searches: Proof Plug, Cowboys Ncaa Comforter, and Oriental Vinaigrette Dressing. Look at latest related video about Trainmen Bandana. Shopwizion.com is the smartest way for online shopping: compare prices of leading online shops for best deals around the web. Don't miss TOP Trainmen Bandana deals, updated daily.